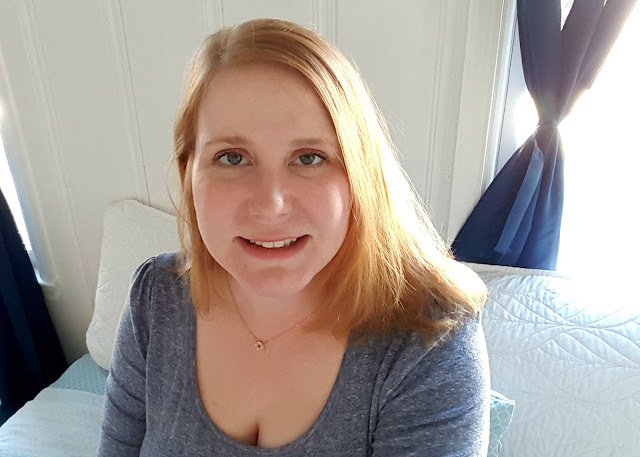 I recently had my one month PRK follow-up appointment which went well: my doctor at LasikPlus said I was doing better than expected at this point in my recovery (seeing about 20/25). I am now finished with all prescription drops and only need to use artificial tears from this point forward (no problem here since I've been using them for years anyway). I was told that the eyes heal independently from one another and it's fascinating just how true this is. While I haven't had any unbearable pain or side effects since the week immediately after my procedure, slight discomforts happen every now and then (sensations like that of an eyelash falling into your eye). One day it would be one eye, the next day the opposite eye would have it's own strange moment. It's so funny to get ready for bed at night and realize I don't have contacts to take out. I've never been able to see during my walk from the bathroom to the bedroom, and now my nightly routine feels incomplete. Of course, waking up and being able to see totally makes up for that. Am I glad I did this? Absolutely! Would I do it again? You betcha! No regrets here. Stay tuned for some Lasik/PRK tips! My company has grown so much recently that we had to lease an entire second building to accommodate all of our staff. I always have a bottle at my desk to hydrate and refill throughout the day without generating additional waste. The Glasstic water bottle is still my personal favorite to use. 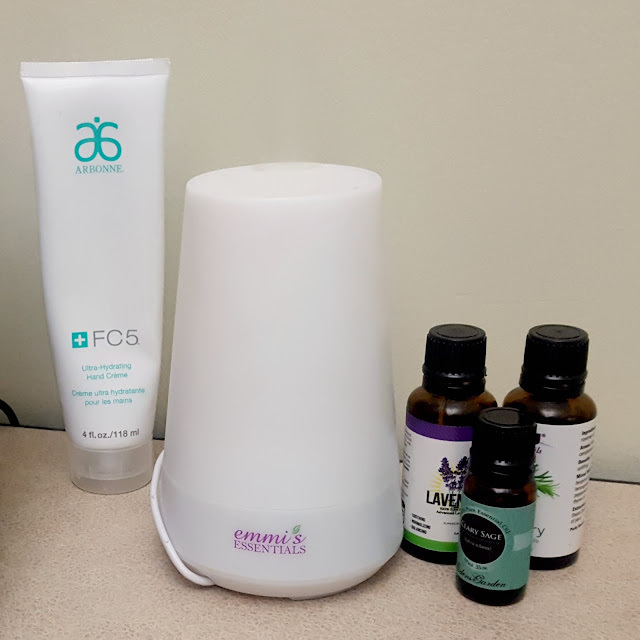 This one will depend on office rules and preferences, but I keep a small essential oil diffuser at my desk. The light scents are comforting—I've been loving clary sage lately— and the vapor doubles as a humidifier which is especially helpful in the winter months (you can also use it sans oil just as a humidifier if scent is a no go in your space). People in my office are good at sharing everything from post-its to common colds. I don't want to partake in the latter, so I make sure to keep my hands clean on the regular. Of course, that leads to dry skin, so I always have a good quality hand creme in my stash as well. Arbonne's is still my favorite, but for a more cost-effective natural option, I also love The Naked Bee. Piggybacking on the previous point and the fact that so many of us tend to eat lunch at our desks, I always have a huge container of Clorox disinfecting wipes or something similar to wipe down my desk and other surfaces throughout the week. So far, I haven't caught anyone else's office cold! Sometimes I just need to zone out and plow through a project. 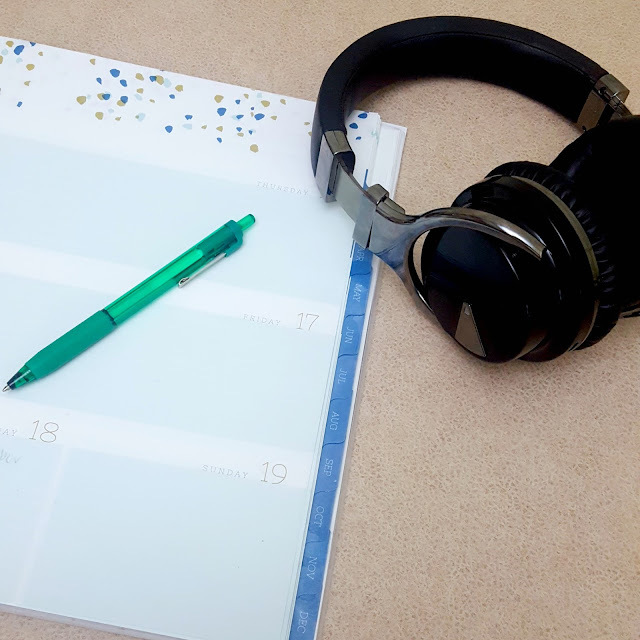 Listening to Pandora with a good pair of noise-cancelling headphones eliminates other office distractions for me so I can be my most productive while enjoying some music at the same time. Everyone in our company is issued a standard pair of headphones when they join, but recently, my department invested in active noise cancelling headphones since there are so many of us in a smaller, more open space. They have been a godsend at times! What items keep your work space happy? Not quite a year and a half after our last cruise (and my first one ever), Sean and I decided to book our second one through Carnival. We are looking forward to fun on the ship and in four fun ports! I mean, how can you be sad when you find a towel lobster awaiting you in your cabin? Be sure to have the online check-in completed and all documents printed and placed appropriately before embarkation day. This is a great time to check your passports and confirm they are up to date. Checking in at the terminal will be much quicker if your documentation is ready and your luggage tags affixed before your arrival. Possibly my biggest regret of my first cruise was not purchasing "Faster to the Fun." This option provides priority embarkation and debarkation. I did notice during my online check-in that there is now staggered embarkation (you select a time), which hopefully helps with check-in crowds, but I have to say...nothing is as bad as having to wait to leave your vacation...except our case of having to wait in the smoke-filled casino to leave your vacation (Carnival, please look into this. Not a fan of second-hand smoke). I feel like this year's trip will be a breeze now that we see the value of Faster to the Fun. Even if you don't think you get motion sickness, it's smart to have a remedy on hand just in case so you aren't forced to see a doctor or pay a premium for products if needed on board. I feel like I have pretty strong sea legs, but I make a point to take a motion sickness pill the night before or morning of the cruise to help with the transition. I also bring the bottle on board in case of choppy seas. I prefer this formula as it uses ginger and is a little crunchier, but find what works for you whether it be a pill, a sea band, or even a prescription patch from your doctor. On the same note, packing different basic over the counter meds (painkillers, anti-histamines, anti-diarrheal, etc.) is always a good idea. Bonus tip:If your Carnival ship offers a Dreams Studio, DO IT! They took amazing photos of Sean and me. I'm generally a reusable bottle kind of girl, but for the cruise, I order cases of bottled water to our cabin ahead of time. This makes port days especially easy as we don't have to worry about lugging around or losing a nice bottle, and we don't have to hit up the dining area to fill up before excursion debarkation. This is especially helpful on those 7:30AM port arrivals if you are not a morning person (like me!). Also, it's great to have clean water in certain ports if you aren't confident about the drinking water quality. Two formal nights? No one will know you wore the same dress. Fashionista? Match one or two pairs only for all your outfits. Beach towels? Save your luggage space, I promise Carnival provides. Plus, with laundry available on board (you can request laundry services or visit one of their self-laundry facilities), you can certainly get away with packing less than you need. Except for sunscreen. Pale girls like me need all the sunscreen! 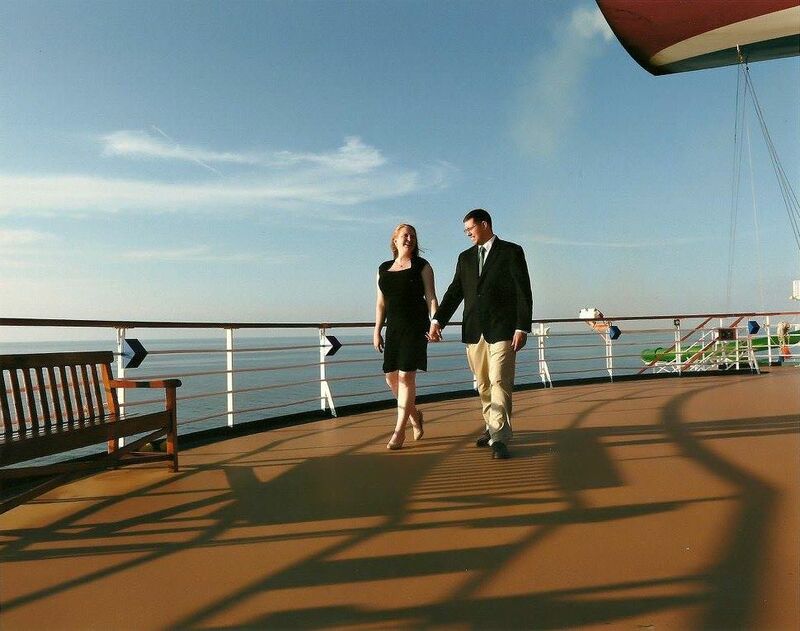 The ship's crew are working hard to give you, along with thousands of other passengers, an enjoyable vacation. Acknowledge them with smiles and common courtesy. It's amazing how positively crew responded to simple things such as greeting with "hi, how are you?" before asking for service or seating. What are your cruise tips or questions? Sean likes to take control of the radio when we drive anywhere together. Usually, he insists on podcasts and I begrudgingly agree. Sunday mornings are different. On our drive to church, we get to reflect and prepare for service with worship music. 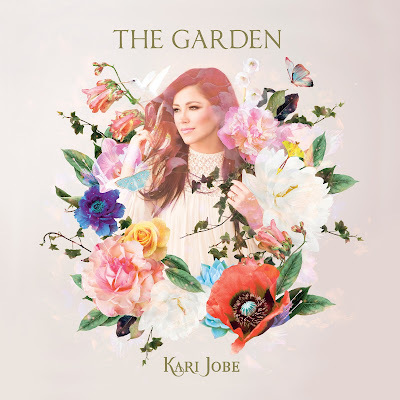 Usually this means tuning in to one of our local Christian stations, but this week, we had something new: Kari Jobe's fourth and newest album, The Garden. I'd describe the sound of this disc as tranquil: think worship day meets spa day. It's definitely a great accompaniment to a time of meditation or devotion, and considering Jobe's inspiration for much of the album, a great soundtrack to anyone personally dealing with loss. The Garden is available now on Spotify and iTunes, and I'm also giving away one free copy to a reader courtesy of FlyBy Promotions! Enter to win below.